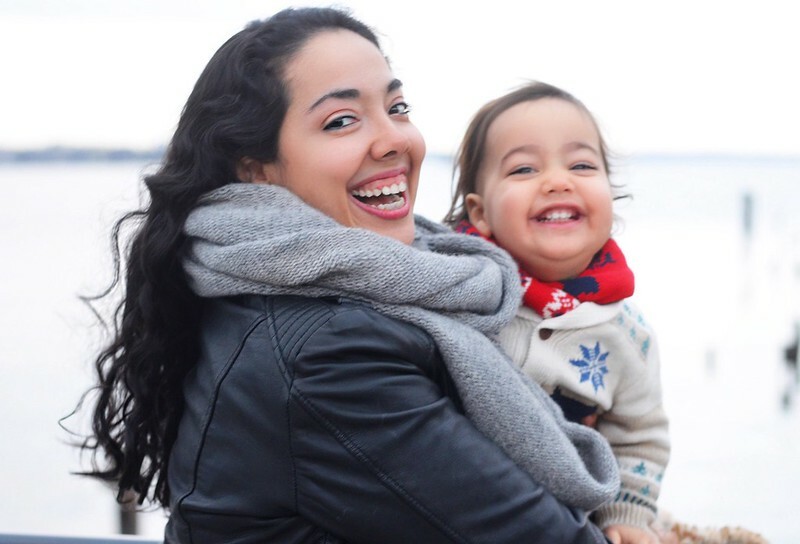 The best thing about blogging is connecting with other mothers and my guest today, Christine, of This Is How I Mom, is one of the sweetest. I take so much inspiration from her zeal for mothering and the delicious food she prepares for her family. 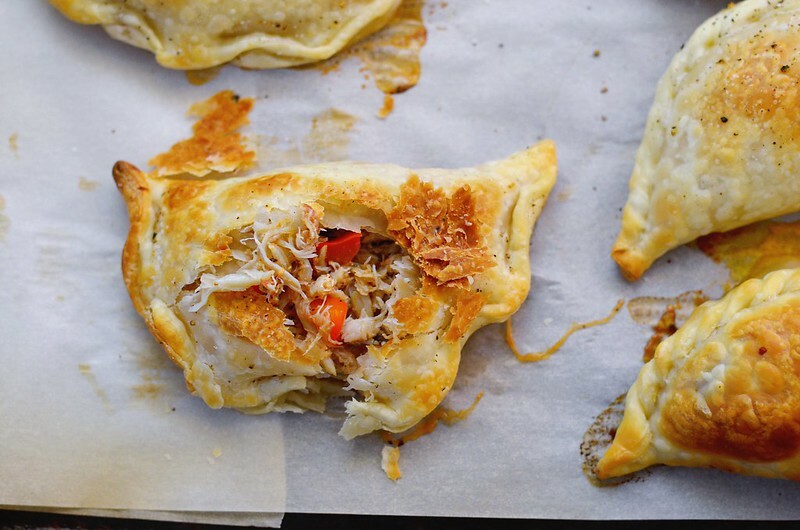 I'm always ogling her Instagram posts of the meals she makes, so I’m very excited to have Christine here sharing her Crab Empanada recipe- enjoy! Hello and Happy Wednesday! 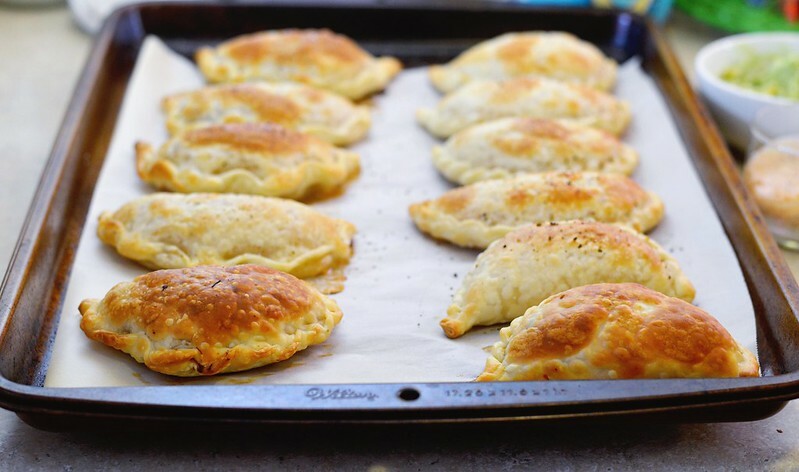 I'm so thrilled to be sharing a fun new Crab Empanada recipe (with 2 yogurt sauces) I put together this weekend to celebrate my 21 month old son's newfound love of crab and my continued love for empanadas. It was a big hit in my house and I could see it being the perfect Valentine's Day or Superbowl appetizer (or any time appetizer). 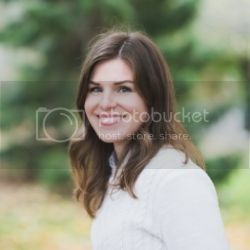 But first, I'd love to share with you a little about myself. I've always been a huge food lover and have never shied away from testing out a new recipe. I'm a laid back cook who loves whole foods and letting the ingredients shine on their own in any dish I make. I've always been a big believer and lover of the family meal so as soon as my son began eating solid food I began counting down until the day we could all sit at the dinner table and enjoy the same meal together. My husband and I have never been big celebrators of Valentine's Day so last year we decided to create an extra special 'Valentine's Family Day'. We went to the library, took a long walk, and I got to do my favorite thing: cook a special meal. Looking back now, I think this may have actually been the first time we all sat at the dinner table to eat the exact same meal together, so for me this was a dream come true! It was Julian's first taste of beets and I even threw on a dress because I was feeling extra festive. Which is why, this year, I want to keep our family Valentines Day tradition going strong. Julian tried crab for the first time on New Years Eve and has been raving about it non stop since then. This gave me the perfect opportunity to try and recreate one of my favorite empanadas from my many trips to Puerto Rico as a kid. Crab, Shrimp, and Lobster empanadas can be purchased at any of the many kiosks that line the beaches there and it was always the ultimate vacation treat: decadent, indulgent, and memorable. Which is what a Valentines Day meal should be: decadent, indulgent and memorable! 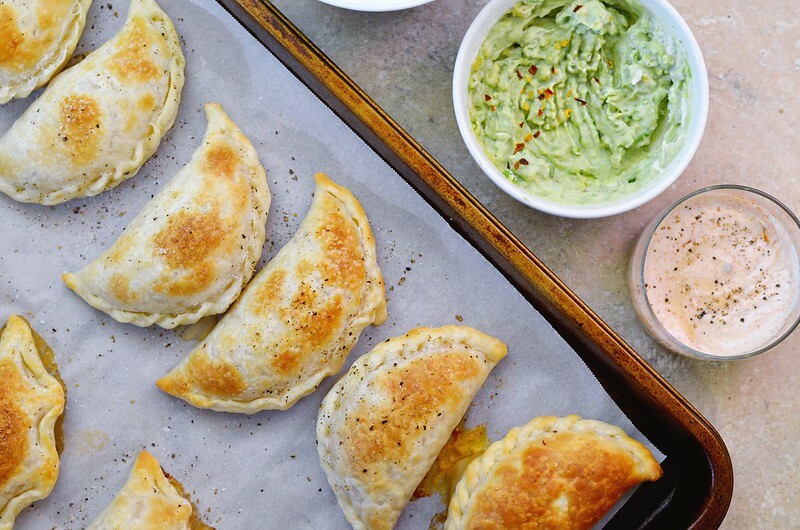 The crab makes it ultra luxurious and the empanada makes it fun, different, and the biggest bonus is how quick and easy it is to make! You can purchase your crab in tubs or cans at your local supermarket. I know this may sound crazy but I've used both and I found that the crab I purchased at Trader Joe's from a can was the freshest and lightest tasting crab I've tried outside of cracking them by hand myself. I also bought claw meat since I knew I would be handling it more and when using lump meat you want to manipulate it as little as possible because of how delicate it is. If I were making a crabcake it would be all lump, but in this case we enjoyed the fresh crab taste at a much lower price point, Win, win! 2. Cook the peppers and onions over medium heat with a little bit of olive oil for a few minutes to take some of the “raw” flavor out of it. 3. While the vegetables cook, mix a half-cup of crab with the yogurt or cream cheese. I always use Siggi’s yogurt when I have it on hand because of how thick it is and the very low sugar content, but you can use your favorite plain Greek yogurt as well. 4. 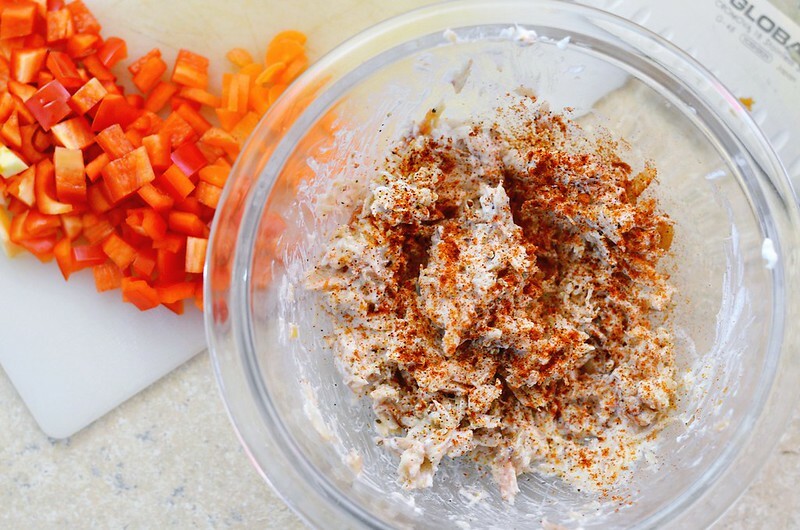 Fold the vegetables into the crab mixture and season as you wish. I used a dash of cayenne, salt, and pepper, but give it a taste and adjust as you see fit. 5. Place a sheet of parchment paper on a very large baking pan and set a few of the, now somewhat pliable, empanada rounds on top. 6. 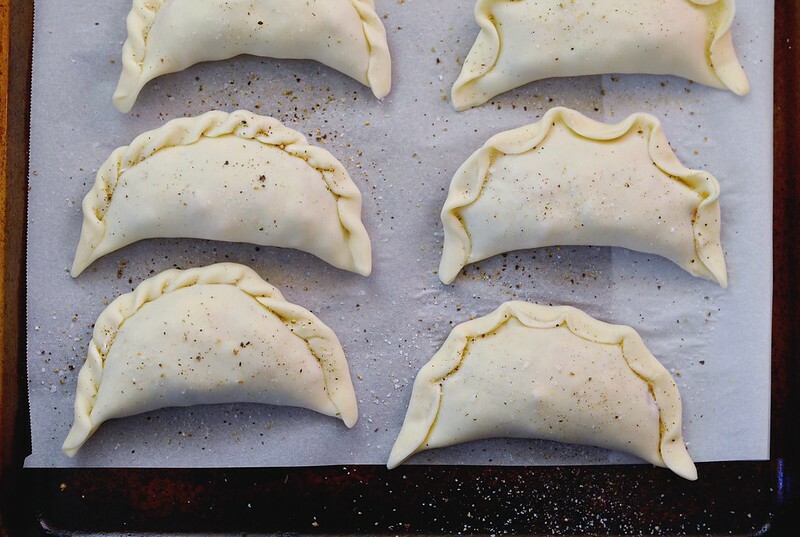 Fill the center of each empanada shell with a generous spoonful of the crab mixture and fold over to shut tightly. To close the end tightly you can take a fork and press and press all around the edges, but I like to fold the ends over because they bake prettier and keep closed just as well. 7. Season with salt and pepper on top of each empanada before putting in oven. 8. Bake for 15-20 minutes depending on your oven. They are done when they are golden brown on top. While the empanadas bake, I like to throw together my 2 “go-to “dips: The always crowd pleasing avocado crema and a chipotle yogurt sauce, for the spice lovers. For the crema, I mix a quarter of a smashed avocado with about ¼ cup of fat free yogurt and season with salt and pepper. For the chipotle yogurt sauce, I mix a generous sprinkle of cayenne pepper with ¼ cup of Greek yogurt, the juice from a quarter of a lemon, and the tiniest drizzle of honey for a spicy but balanced dip. The crab empanadas which were made with the Greek yogurt came out very creamy while the empanadas made from the cream cheese were a lot flakier and the shells came out crispier. Both were equally decadent and satisfying. Julian ate 2 whole empanadas before asking for more. He also loved dipping them into the avocado and Greek yogurt I put on the side. For me, there is no greater pleasure than cooking something with love and having it be enjoyed by the ones I love most. If you make these, please stop by and let me know if you enjoyed them! You can visit me at my blog (www.thisishowimom.com) or on Instagram (@thisishowimomdotcom). The biggest thanks and hugs to Megan for letting me share a little bit of my family and my love of cooking with you all! Happy Valentine’s Day!